Change your value anytime, any place & anywhere. Simply enter your pin and change your value. The "V Card" includes a wide range of benefits including the elimination of repetitive printing costs of discount material. And now you have the ability to change your value at any time. Simply enter your pin and edit your information. 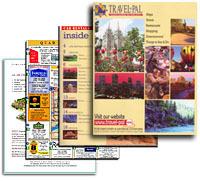 All "V Card" members receive a listing on travel-pal.com, with logo, picture, map and link to your web site. This means that you benefit from the tourism traffic we generate through reciprocal links with cities, and city organization through the Western United States. Information about your company online, plus hot link to your website and spotlight page with exact map locations. 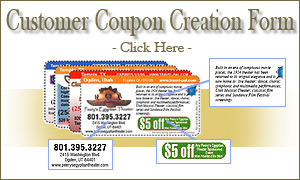 Travel vouchers/coupons are available for download off of our Internet site. Providing discounts to hotels, restaurants, shopping, etc. Listing on our "V Card" Inset"
A great way for travelers to get additional discounts and savings for your business through our "V-Card Program. Exposure at Tourist Outlets throughout the U.S.
Interactive map of your facility. Up to 15 360° high resolution images. Radar location on the map to show direction. Music or naration per-image if requested. Linked into a database with millions of viewers. Help system, and multiple menu options. your facility and not leave a single footprint! It's easy to join the V-Card Program. Choose your own level of participation! B) Logo listing, web links to your website and an entire spotlight page which showcases your business with information, map, coupon and V-Card value on page. Travel Pal is in it's 22nd year. Providing the tourism industry with a wide range of tools to help promote their cities and businesses.